Celebrating 30 years in the business, Lilien Systems offers commitment, technical expertise and business vision to its customers, resulting in a leadership position among IT value added resellers (VARs) in the Western U.S. Lilien Systems, a wholly-owned subsidiary of Sysorex Global Holdings Corp. (NASDAQ:SYRX), provides the people, process and technology to develop and implement the infrastructure for mission-critical enterprise. Our goal is to provide innovative solutions that enable customers to solve complex and important IT challenges and objectives. Visit us at www.lilien.com. 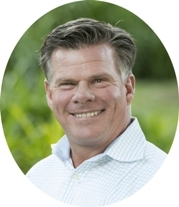 Bret sets Lilien System�s strategic direction, oversees the company�s Sales, Marketing and Services organizations, and manages partner relationships. Since Bret joined Lilien in 2005 as Vice President of Sales, Lilien has quadrupled in employees, quadrupled in revenue. He draws on 23 years of experience building and managing sales organizations in the Enterprise IT space. CEOCFO: Mr. Osborn, what is Lilien Systems? Mr. Osborn: Lilien Systems is a 30-year system integration company that has been focused for the majority of those years on solving complex infrastructure problems. In the last four years we have engaged in a big data and analytics practice. I saw that it was really a very disruptive technology. With most of the �new� data being unstructured and many of the solutions developed by major IT companies not meeting these needs, there is a huge gap for solution integrators to engage. We jumped into big data in 2011 and it has been a great practice for us. It has also been a great way for us to grow our business and add more value to our customer base. CEOCFO: How do you approach big data? What do you understand about big data that perhaps others might not? Mr. Osborn: That question is best answered by the award that we received at the 2012 Hadoop Summit held in San Jose, California. We were the 9th coolest product to watch on a list of 21 companies, which was really kind of fascinating because we do not actually have a product, so I felt quite sorry for numbers 10 through 21 that did have a product. The reason that they thought that we were something cool to watch was that we had a methodology around how to adopt and monetize big data. We help customers understand and develop key performance indicators for their business. Once we help the customers determine their KPI�s we are then able to build a requirements analysis document that describes what it would take to implement a big data platform, perform a proof of concept and help them with business justification and ROI. Then we implement not only the technology solution, but also create data models which produces actionable intelligence that the customer can then put back into product development, etc. CEOCFO: Are there particular industries of focus for you? Mr. Osborn: Yes. Each industry has different requirements, but it seems that there are industries that need the data faster than others. We have customized solutions for various industries. This is our IP. CEOCFO: What area might you be able to lead a client to look at in putting the big data together that perhaps they do not analyze now? Are there one or two common areas that people miss when they are trying to see what is important? Mr. Osborn: A typical discovery session begins with: �What information don�t you have at your fingertips that would make a difference for you?� and what we find is that customers will say, �Well, my business intelligence platform or business warehouse today gives me information, but I get last week's sales out data and last month's sales out data. It is something that is a period in time, but not in real time and that is valuable to me, but I cannot make decisions about it in real time. Other interesting discoveries with our customers include the cost of their legacy business warehouse or business intelligence system - they cannot put enough data into the system to have enough to analyze. If it is too expensive to put 5 or 10 months or even 1 year of data into the system, they really cannot get an accurate outcome out of the system. The 3rd common area that companies miss is the quality of their data that they have today. Most companies, because they have not thought about putting everything into a pool, have good data quality to warehouse from. We help them with looking at how they could store the data cost effectively and then moving the data into a system that will allow them to perform analysis in real time. Once they have that real-time data, we recommend what process they will use to feed the data into their system to make appropriate changes. CEOCFO: What is the process behind implementation? Mr. Osborn: Regarding basic implementation, we look at what the company is trying to do, what their strategy is, and how we can design a solution that fits their needs. We prefer to use as much of their current infrastructure and tools as possible because we want it to be easy for them to operate when we leave without a dramatic change. We develop a requirements analysis document and a business justification. Normally, it revolves around a pilot project or proof of concept. A pilot project typically involves solving one specific problem. We look at how we can take a subset of their data, move it into an analytic platform that will give them something in real time or near real time, or whatever their requirements are, and then give them the outcome that they are looking for so they can feed it back into the business. From a technical perspective, our engineers develop an infrastructure plan then lay down the data infrastructure. Next, they put the software in place and then help the customer build a data model by working with them to understand what data they would like to warehouse, what queries that would be important to run and what they are going to do with the results of the queries. We repeat this process for a number of different operations to ensure that they understand how to use the system, and then we turn the keys over to the customer. CEOCFO: How do you reach potential clients and is there an aha moment when they understand the depth of what you offer? Mr. Osborn: That �aha moment� has changed over the years. We found that with big data, especially when we started, there were 3 kinds of clients and those clients are still somewhat the same. The first client was someone who wanted to learn how to spell Hadoop, or big data and was asking, �Tell me what big data is.� That was more of an evangelical type presentation to them. It was more of us helping them understand what big data was, what the options were, the different products and solutions out there, why they should care and what data might they have that they are either purging or not even looking at that might be valuable to their company. The second one was somebody who had tried big data or had implemented something in big data or had downloaded Apache Hadoop and put together a 3 to 4 node cluster and were putting data into it and trying to see how they could figure out how to make big data work for their company. Then there was the third type of customer that was just happy to have somebody who actually could spell Hadoop and they wanted to work with us because they needed someone who understood the big data landscape. When I look back at those 3 tiers, those tiers are still there today. We tend to not spend time with the people in the 1st tier who are looking for someone to give them a big data download. We do find many customers in the 2nd tier who have investigated and have tried to do something in the new age analytic platform and need assistance to be able to figure out how to monetize that big data set or get that big data set to work. The 3rd set realizes that we have long standing expertise and they are looking for our assistance. When you ask, �How do I find clients?� we have clients come to our website and request information from us regarding some of the products and solutions that we market because they need assistance in getting them to work. That tells me that there are many, many more clients out there who need assistance and just do not know where to go or cannot find somebody who has the expertise to help them. Other traditional ways to reach customers include seminars, webinars, and client outreach. For us to communicate to the end user that we have the expertise has not been that difficult against the competition that we are facing today. Once we find them, they stay with us and want to do the business with us. CEOCFO: What did Lilien Systems learn early on as a company, as well as what you have learned from your experiences, that has been helpful as you have added emphasis to big data technologies and as you continue to expand and grow? Mr. Osborn: I am hesitant to tell you that because that is the million dollar question, or maybe the hundred million dollar question for us. If you want to talk about the past and how we have learned, if you remember when the Sarbanes-Oxley Act came to be, we would go out and meet with customers regarding being SOX compliant and the interesting part is a great many of our discussions were really talking to clients about what Sarbanes-Oxley was and what it meant for them to be compliant and out of compliance. It was really interesting for me to meet with some clients who had their attorneys in the room and their attorneys were basically not trying to figure out how to be compliant per se, they were more interested in making sure that whatever data might be problematic for them was eliminated. Instead of storing 7 years, they might want to store an afternoon's data. That was the first part of the strategy, too from a Sarbanes-Oxley perspective. Then the lawmakers responded with a rebuttal stating that not having the data is an admission of guilt, so you have to figure out a way to keep that data in-house so you are not automatically guilty. The lessons that we have learned in big data or in any new type of market are that you need to make sure that you are continuing to try to find the person who understands what this new market can do for them. Then help those people, and you do not just take the first guy who asks you to the prom, you wait for the one who you really, really like. That has been something that we have learned in the big data space, as well as any of the other new markets that we have been chasing. Mr. Osborn: Business is great. We cannot tell you much more than that. We are now a publicly-traded company. We are on the NASDAQ under the symbol SYRX and business is going great for us. CEOCFO: Why pay attention to Lilien Systems now? Mr. Osborn: We are a market leader. We are a market leader in the big data space. We are on a strategic acquisition strategy with Sysorex and AirPatrol and the other companies that we have purchased. We are going to be putting together a company that is going to have end-to-end big data, analytic, cloud, managed services, and cyber security solutions. We have unique and interesting technologies in the other companies and have patents pending. I fully anticipate Lilien offering technology solutions that are going to be very easy for customers to adopt and be very profitable for Lilien moving forward. CEOCFO: Would you tell us a little bit more about Sysorex? Mr. Osborn: Lilien Systems was purchased by Sysorex Global Holdings last March as the infrastructure, big data and analytic part of that operation. Sysorex is a government services company. It manages major government contracts and performs services work, as well as providing infrastructure solutions for federal government entities. We then just closed this year on a company called AirPatrol which is a cybersecurity company � very exciting technologies. Last year we also closed on a company called Shoom that performs data analytics for the media and entertainment industry as a service. With those 4 companies that we have already accumulated, we are looking forward to some additional intellectual property in the big data and analytics space. We feel very bullish that we are going to be able to take these companies, merge them all together, and come up with 20 years of solutions for the various markets that I spoke of earlier: big data, analytics, infrastructure, and cyber security and logistics. It is a very exciting time for us here at Sysorex.